The Arc strives to offer opportunities for fun and self-expression in community settings and with peers. We assist clients in keeping up-to-date about various activities available, providing information on transportation to classes and events and helping people access the funds necessary to participate as an individual, with friends or in a supervised group. Friends Like Me is a program of The Arc San Francisco that seeks to alleviate the social isolation of adults with intellectual and developmental disabilities through recreational activities and games that encourage friendship, conversation and socialization. For a schedule of activities or more information, please contact Lance Scott, Director of Arts, Recreation and Socialization at (415) 255-7200 ext. 156, or lscott@thearcsf.org. For Activities and Schedule, click here. A key social event for Arc clients and friends is the monthly “We Gotta Dance” held the third Friday of every month at The Arc San Francisco. Clients DJ the music, sell beverages and snacks and kick up their heels from 7:00pm-9:00pm in an accessible space with a professional sound system, a large dance floor and comfortable lounge area. See our Calendar for upcoming events and activities.  For more information about “We Gotta Dance” or other activities, contact Lance Scott at lscott@thearcsf.org or call (415) 255-7200 x156. ArtReach Studios offers a unique arts academy environment and postsecondary curricula for artists with developmental disabilities. Learn more here. Our Howard Street Studio offers an open studio environment for artists to hone their artistic and entrepreneurial skills and develop professional portfolios. The Arc holds art exhibits and performances throughout the year. See our Calendar for the latest in upcoming events. For more information, please contact Lance Scott, Director of Arts, Recreation and Socialization at (415) 255-7200 ext. 156, or lscott@thearcsf.org.